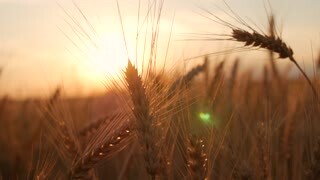 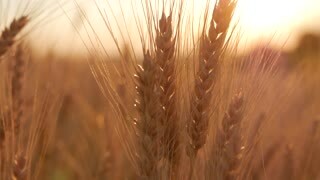 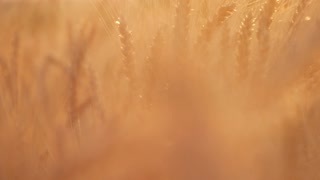 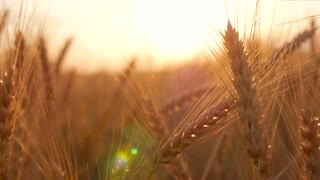 Golden ears of wheat on the field at sunset. 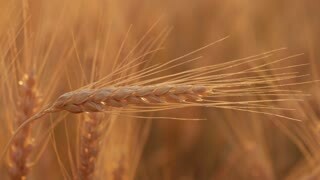 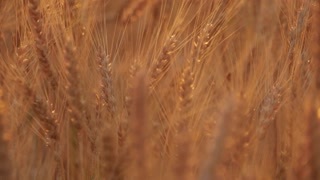 Close up of ripe wheat ears. 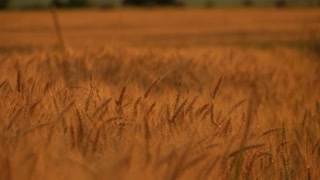 Beautiful backdrop of ripening ears of golden field.